Why does your restaurant need an app? What are the benefits of restaurant apps over responsive websites? They deliver more frequent guests! Discover how apps can increase your restaurant revenue. Even if a restaurant has a responsive website, which is hardly the case for the majority of restaurants, the deployment of a mobile restaurant app will bring you numerous benefits. You’ll welcome more guests more frequently and even serve them when they are not in your restaurant. What do you think is a more effective way of communication with guests? Send them an email and just hope they visit your website incidentally? Or bring them your restaurant experience right in their pocket, with all your social media in one place and your daily menu presented on the guests’ smartphone? And did you know most people book a table when they are at work? They rather book online silently instead of calling you. Your guests love their smartphone. And they use it for basically everything: search a nearby restaurant, browse your menu, check opening hours, read reviews and make online reservations. A good and smooth mobile experience becomes increasingly important and only a mobile restaurant app measures up to that expectation. Apps use smartphone features like call direct, book now and automatic route navigation. Your restaurant app logo is clearly visible on the screen of your quests’ smartphone. Your guest is only one tap away from information and interaction. Compare this with the hassle a guest has to go through to find your website: open a browser, wait for connection, find the bookmark or even type the URL or a search query. An app says ‘Hi, good to see you again. How may I help you?’ several times a day. You can’t make it any easier for guests to make a reservation. Once your guests open your restaurant app, you are giving them a unique welcoming and hospitable experience. All information and social media, even your Facebook restaurant page, is clearly presented in your own brand style. Browsing is fast, smooth and user friendly. The menu almost automatically leads to table booking. 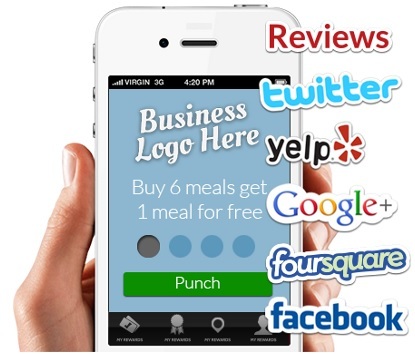 With a restaurant app, a new world of mobile marketing is about to unfold. Apps can communicate directly with users: send them promotion offers, discounts and information about special events. Your Catch of the Day, delivered instantly on the users smartphone. An app can send push messages to your guests, to all or a selected segment. Simply send a push message to app users in your area. Not fully booked for lunch? Send all potential guests that are only a mile away a message with a special lunch offering. Just schedule these messages and they will be sent automatically. Or even use your app to send messages with your smartphone. Push messages are free and very effective advertising tools that come with your app.And much cheaper than using SMS messaging. Restaurant guests are generally loyal customers. If they like your restaurant, they are likely to return. Anyone that installs your restaurant app is interested in your restaurant and is planning to come again. A restaurant app encourages them to come sooner and visit you more often. A customer loyalty program, which can be included in the app, enhances returning visits. Customers that use a loyalty program are extremely likely to return. With a restaurant app you’ll get a modern loyalty program that is part of your app. Separate cards or stamps are no longer needed. Give your guests something extra in your app: demonstrate how to cook or share some of your recipes. This guarantees your guests will keep using your restaurant app. Still not sure? Why do you think all big business are now investing in mobile apps? Have you noticed how convenient it is to do mobile banking using your bank’s app? Or even ordering pizza on Domino’s app? At Demand Media we specialize in building Apps for Restaurants and Cafes. We create high quality apps for your business at an affordable price providing you with the complete cutting edge mobile solution to grow your business. Your App will be fully customized to match your brand, with features that will make your app relevant, engaging, and valuable so your customers will come back to your app again and again. Want to see what your own custom build and branded Mobile App can look like? Get in touch with www.demandmedia.co.nz today to start building your own app. Alternately call or SMS Neil 0407 199 022 to organize a FREE DEMO App custom build for your restaurant or café at NO COST or OBLIGATION – Why not Just take a look at what your Business App will look like!